MormonInfo.org - FAQs - Doesn’t 1 Corinthians 15:40-41 teach that there are three kingdoms of glory or heavens? LDS use this passage as an attempt to argue for three kingdoms of glory or heavens (the Celestial, Terrestrial, and Telestial) that almost everyone who has ever lived on this earth will go to after the judgment (the exceptions are apostates of the LDS Church who end up in Outer Darkness along with the billions of other spirit-children of heavenly parents that never made it to earth, but rejected God in the great war in heaven). LDS need more in order to make their case, since the passage never mentions kingdoms or places we go to after death. (David Bartosiewicz alerted me to the fact that Joseph Smith added the term “telestial” to verse 40 in his translation of the Bible. However, there is not one early manuscript that has this term. Keep in mind that there are thousands of early manuscripts on this passage.) This is the job of latter-day revelation in D&C 76 and 88. LDS simply claim that the three kingdoms are inferred in 1 Corinthians 15 due to the mention of three different places: the sun, moon, and stars. These symbolize the varying degrees of glory that individuals go to depending on how worthy they were in this mortal life. However, the entire context of this passage concerns the resurrected body. “[W]ith what body do they come?” (vs. 35). Paul sets up a contrast between only two types of bodies in verses 40-1: earthly (“terrestrial”) and heavenly (“celestial”). In verse 39, Paul specifies different types of earthy bodies: men, beasts, fish, and birds. In verse 40, he specifies different types of heavenly bodies: sun, moon, and stars. The Bible, in numerous passages, refers to outer space as a type of heaven (e.g., Psalm 19:4, 6, and Jeremiah 8:2). We still refer to outer space that way today. Now keep in mind that both of these types of bodies (earthly and heavenly) are of this natural, mortal world. 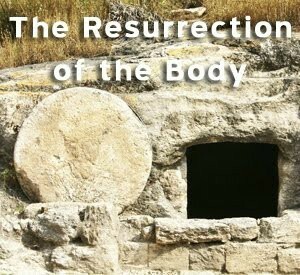 Not only do these bodies contrast in terms of their glory, but Paul goes on to elaborate on the greater differences between the earthly body we humans now have and the resurrected body we will all receive some day: corruption/incorruption, dishonor/glory, and natural/spiritual (vss. 42-4). For other LDS attempts to biblically justify three kingdoms of glory, see my responses to John 14:2-4 and 2 Cor. 12:2.